The Queen takes to the Miami stage to open her World Tour and there’s Balmain, dancers and bangers. In this week’s Linkbait news round-up, we ask all the important questions. What do Beyonce, Florence Welch, Rita Ora and Haim have in common? Answer: they’re all headlining Twickenham Stadium on one very special night. 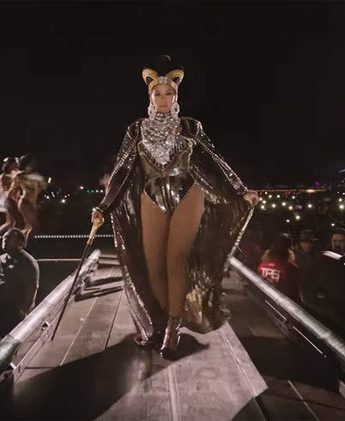 Beyoncé might have inspired the world to get in #Formation but no-one’s done it quite like Miss Shalae and transgender creative collective, Glass Wing Group. London-based spoken word artist James Massiah tells Wonderland exactly what he thinks about Beyoncé’s “Formation”. Sweet Summer Sixteen. The Summer Issue is here! Featuring Grimes, Zendaya, Winnie Harlow, Sasha lane and more. All singing, all dancing Disney-kid Zendaya is more than the sum of her impressive CV. What have you always needed in your life but didn’t realise until now? Beyoncé Athleisure-wear. Meet the LCF MA Womenswear grads who are set to take the industry by storm. Your fave hashtag, #WCW, has turned into the ultimate chic inspiring supper club. Who’s your woman crush? Enigmatic duo, 99 Souls gear us into the weekend with their finest selection of nostalgic female R&B anthems.